Zoodle obsession continues! 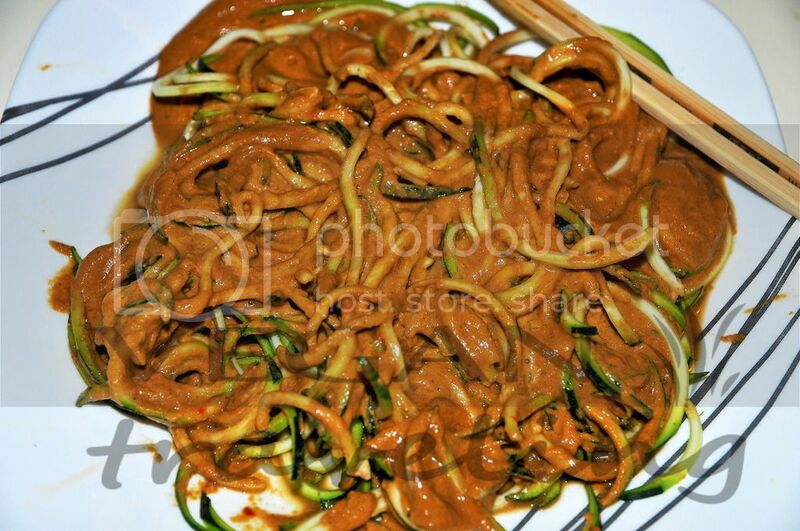 Yesterday I spiralized a huge bowl of fresh crisp raw vegan zucchini noodles and used my favourite red-pepper dip as a sauce. Oh my was it fantastically delicious!! And super fast too – maybe the whole dinner preparation took about 15 minutes.